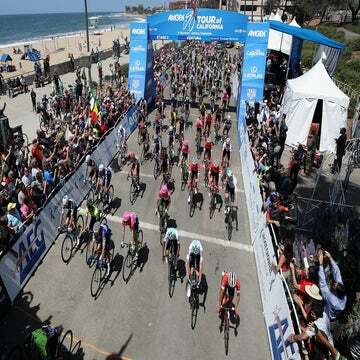 The Amgen Tour of California announced its race broadcast schedule Thursday. Race organizer AEG has once again partnered with NBC Sports Group and Amaury Sport Organisation (ASO), owner and producer of the Tour de France, to broadcast the race worldwide. U.S. broadcast will include daily live HD coverage of the last two hours of each stage of the eight-stage race, May 10-16 on NBCSN, with the eighth and final day of racing airing live on NBC, May 17. The 10th edition of the race will be announced by Phil Liggett and Paul Sherwen, along with color commentary from Christian Vande Velde and Jens Voigt, the official race ambassador. For the women’s race highlight show, Olympic silver medalist Dotsie Bausch will join Liggett and Sherwen to provide additional insight about the women’s peloton. Steve Porino will provide inside-the-peloton perspective from the motorcade and Steve Schlanger will report from the sidelines. If you do not have access to these channels, or want to follow along on the go, you can download the free Amgen Tour of California app. The app can be downloaded via iTunes, Google Play, and the Apple and Android app stores. 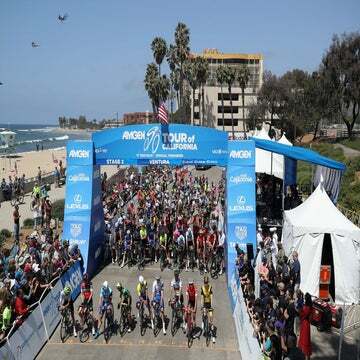 The 2015 Amgen Tour of California App will feature daily live coverage of the final two hours of each stage, full start-to-finish coverage via GPS, race situation and up-to-the-minute text commentary throughout the race, as well as live streaming of the women’s time trial (May 15). Highlights of the Women’s Stage Race empowered with SRAM (May 8-10) will be available on-demand on the Amgen Tour of California App nightly.